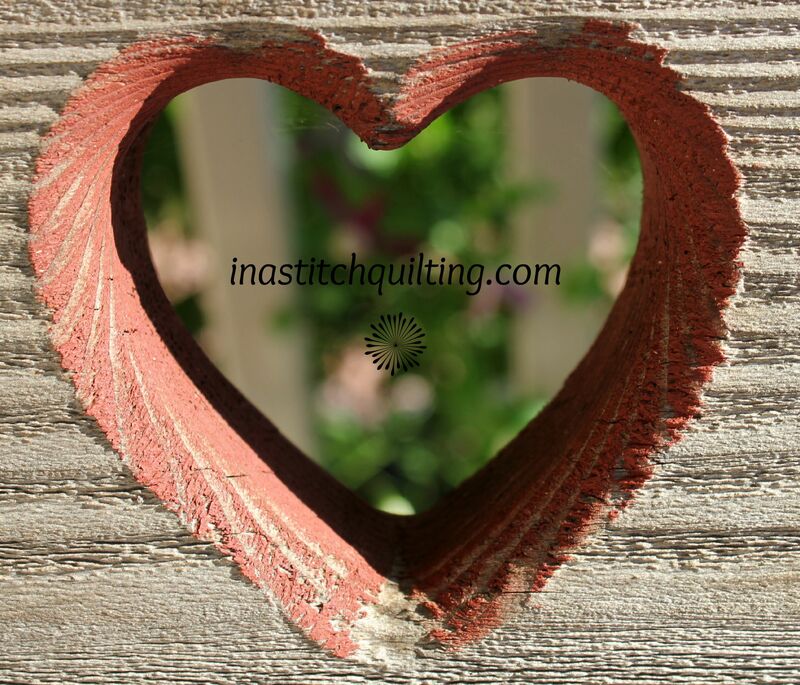 Any woman who sews or knits, or weaves, blends colors in a tapestry or creates a patchwork quilt, knows by the feel that a single thread is weak but the weaving, the blending, the intertwining with many others makes it strong. like a single thread, is weak. I loved this post! 🙂 beautiful! Thanks! It is a very special poem. Thank you for being so kind and for taking the time to visit and comment! I have a Pfaff machine that I use for sewing and a Tin Lizzie long arm quilt machine. Those are the only machines I have. My tin Lizzie sits on 12 foot arms. The frame comes apart so at least that makes it a little easier to transport. I know this too… I make the odd quilt, and I am male. I know the poem does not exclude me, and it is quite beautiful. Indeed it does include you! it’s an adjustable one, not just a simple lay across the chairs type thing; the Jenny one can be used for either hand or machine quilting – with PVC the lady said, which I’ve seen the ones made with just that – would that be what you have? If you are referring to my long arm quilt machine, then no. I have a Tin Lizzie Ansley 26 which rests on a 12 foot table. so you don’t use a frame? I think that’s the machine she says she has or at least that name sounds familiar but maybe I’m just thinking of a car? do you know why it’s called that? Well hopefully they can fix it for a reasonable price and it works just fine after that. There are machines that sit on a table like a regular sewing machine but mine does not. It must sit on a frame. The quilt layers are rolled up on three separate rollers or bars. The machine glides over the quilt top. but when I tried it copied way more than just the poem even though I only highlighted it; have any idea why? or should it take it to the commons for expert advice; btw, ever heard of a Jenny Lynn (assuming not the crib, not even sure spelling it right, don’t think that’s how you spell the bed anyway) quilt frame? I don’t think it will let you copy a small portion. You could always try copying it to a word processing program and then editing out what you don’t want. Also, if you let me know exactly what you want I could copy and paste it into a comment or email. I think I have heard of the name but don’t know anything about it. Sorry. the name? of the poem? on your site, in your post?